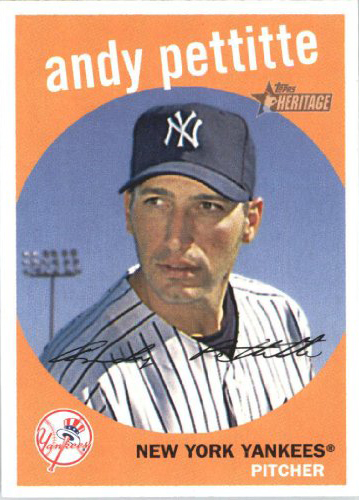 All About Sports Cards: Andy Pettitte set to announce retirement on Friday, leaving the New York Yankees with some big shoes to fill. Andy Pettitte set to announce retirement on Friday, leaving the New York Yankees with some big shoes to fill. Weather forecast for New York City? It looks like it will be getting a bit colder on Friday as some of the heat goes away. That's heat in the form of pitcher Andy Pettitte, Yankees great, who is set to announce his retirement from baseball on Friday. As the first member of the "core four" of Yankees to retire, Pettitte, Derek Jeter, Mariano Rivera and Jorge Posada, this seems to be the sign that management needs to look towards the future and rebuild with some young talent. Having seen the team through some incredible years, Pettitte will retire with 203 wins, placing him third on the Yankees' all-time wins leaders list just behind Whitey Ford and Red Ruffing. Leaving a huge hole for the Yankees to fill, Pettite will be missed.